Today’s December Photo Challenge selection might just accomplish this for you. I have chosen this photo as one of my favorites, not because the image is so keenly spectacular in any way, but rather because it is a vivid reminder that learning and the expansion of one’s mind is a beautiful and sacred opportunity. This simple image of a Bluebonnet depicts something that I learned just this last spring; and I even live in Texas where the Bluebonnet is the state flower! Have you ever noticed how the little banner on some of the florets of a Bluebonnet might appear purplish-red instead of white? Have you ever asked why? This coloration change occurs when the floret has aged and been depleted of pollen, and the change acts as a signal to bees to let them know not to waste their time expending energy in that location. Pretty impressive that a flower could actually work in mutual cooperation with a bee to help it perform more efficiently. The Bluebonnet was named the official state flower of Texas in 1901, and there are actually six different species in Texas. Without adequate autumn rainfall, Bluebonnet seeds will not germinate. This means that some seeds might lie dormant for years before finally coming to life. Studies have shown that bees can collect up to 150 times more pollen from the white banners on the florets than from the purplish-red ones. Good thing bees can recognize this color distinction and just move on! 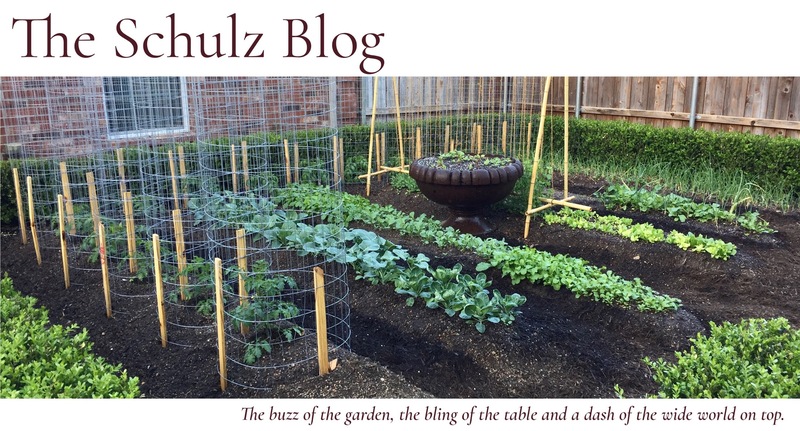 Amanda J. Schulz is a real estate broker, licensed attorney, wife and mother of two, with a passion for writing, gardening, painting, photography and all things culinary.